So, still using Windows 7, Vista, or an older version of Windows? Happy with what you’ve got? If so, I’m not here to convince you to upgrade to Windows 8. Indeed, with its new, eye-popping Start screen, the missing Start menu, full-screen apps and all-new, touch-centric controls, Windows 8 makes for a radical, somewhat bewildering departure from just about every other previous version of Windows. And since Microsoft is committed to supporting Windows 7 until at least 2020 (and heck, even Windows XP will get “extended” support until April 2014), I don’t see any compelling reason for the average user to upgrade to 8—especially if you’re still using a standard, mouse-and-keyboard PC. But here’s the thing: if you’re already got a Windows 8 PC or tablet, you should pay close attention to a new version of Windows that’s set to debut this week. Besides adding the usual array of new features and bug fixes, the aptly named Windows 8.1 promises to tweak some of the most annoying changes in the original version of Windows 8—changes that particularly vexed longtime Windows users. As usual, I advise that you hold off on upgrading to Windows 8.1 until a week or so after Day One, just to be sure that there aren’t any nasty bugs requiring a patch from Microsoft. If you’re upgrading your Windows 8 PC or tablet to Windows 8.1 (which is slated for release on October 17), expect to pay the low price of zero for the privilege. Nice. Update [10/17/13]: Windows 8.1 is now available, and you can begin the installation by visiting Windows.com and following the instructions. Want to make the jump from Windows 7 directly to Windows 8.1? If so, you’ll need to pony up $120 for the installation DVD. With Windows 8.1, Microsoft has wisely chosen to walk back one of the most controversial changes in Windows 8: the elimination of the Start button, a feature of the Windows desktop since Windows 95. In Windows 8.1, the Start button (minus the old Start menu) makes its belated return to the desktop. While the Start button will be making its return after a year-long absence, the beloved Start menu—you know, the menu of programs, folders, recently used files, and shortcuts that appeared when you clicked the Start button—isn’t making a comeback. Instead, clicking the Windows 8.1 Start button will take you to the new Windows Start screen—and indeed, it’s probably best to think of the tiled, eye-popping Start screen as the Start menu’s permanent replacement. Note: If you really, really miss the Start menu, there are some third-party apps that can help fill the gap. Searching from the Start screen has been an oddly fractured affair in Windows 8. Type in a search, and you’ll only see results from one of three main categories: Apps, Settings, and Files. If you’re searching for a file, you’ll get “0 results” unless you remember to click the Files heading under the Search box. 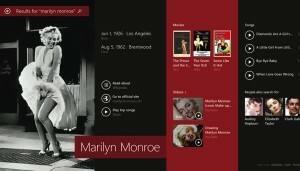 Your universal “smart” search results will be displayed in a gorgeous new way under Windows 8.1. 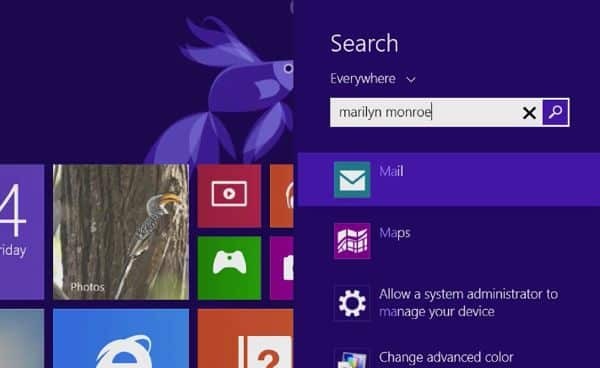 All that changes under Windows 8.1 with “Smart” Search, which uses Microsoft’s Bing search engine to plug your search term into a wide ranges of categories—everything from settings and files to weather, maps, and the Web at large—at once, and your search “hits” will be displayed in a gorgeous new results page. And yes—if you want, you’ll still be able to filter your search results using a pull-down menu just below the search box. 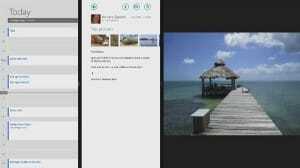 One of the niftier features in Windows 8 is the ability to “snap” two apps onto the screen at once—meaning, for instance, you could “snap” the Windows 8 Music app next to Internet Explorer. You’ll be able to “snap” three apps at once (or four, with a high-resolution screen) thanks to Windows 8.1’s improved Snap feature. The only problem with the Windows 8 Snap feature, though, is that you can only “snap” two apps at a time, and there’s very little freedom to resize the snapped app windows. Basically, one window takes up about a three-quarters of the screen, while the other grabs the remaining quarter, and all you can do is decide which app takes the lion’s share of the display. With Windows 8.1, though, you’ll be able to “snap” three apps on the screen at once—or even four apps, if your display has a high enough resolution. You’ll also be able to resize your app windows just about any way you want, all by clicking and dragging (or tapping and swiping, if you’re using a tablet or touch-enabled PC) the divider bars. Not a huge fan of the Windows 8 Start screen? Until now, there was no way to bypass the Start screen when first booting up your Windows 8 PC—or at least, there wasn’t a way short of hacking the OS or installing a third-party app. Included in Windows 8.1, though, is a long-awaited setting: the option to skip the Start screen and jump directly to the old Windows desktop. You’ll (of course) still be able to access the Start screen by clicking the (new) Start button.